Aidan is a young musician from Cork, Ireland and is currently based in Hamburg, Germany. Learning from his father and family, Aidan has played acoustic guitar for over 5 years and his influences and his playing style strongly reflect Irish folk, 60’s/70’s classic rock, folk & some modern/pop. Aidan enjoys keeping Irish music alive in Germany. 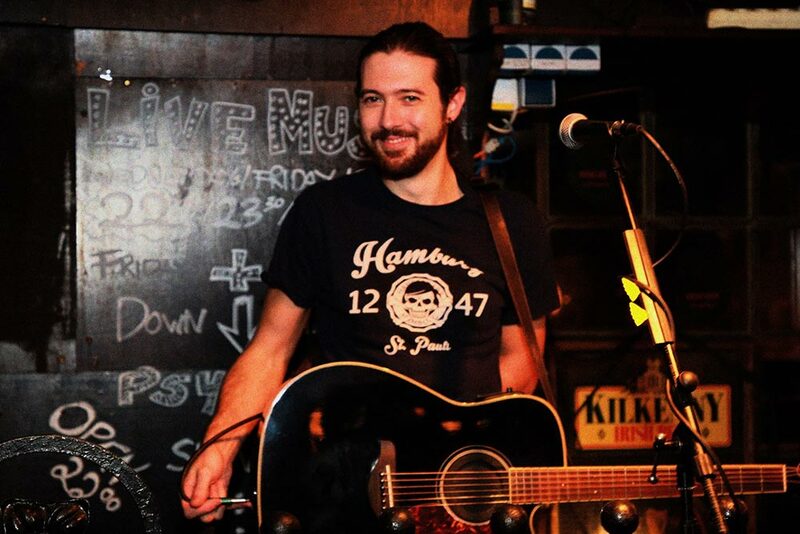 He has played in mostly Irish bars and places such as Hamburg’s Reeperbahn, Kiel, Husum, Stade, Kassel, Oldenburg and also in Ireland and Denmark. Aidan has also played at some outdoor festivals like Kieler Woche and Hamburg’s Hafengeburstag.